Wednesday, Feb. 6, 2019, 12:30 – 1:30 p.m. 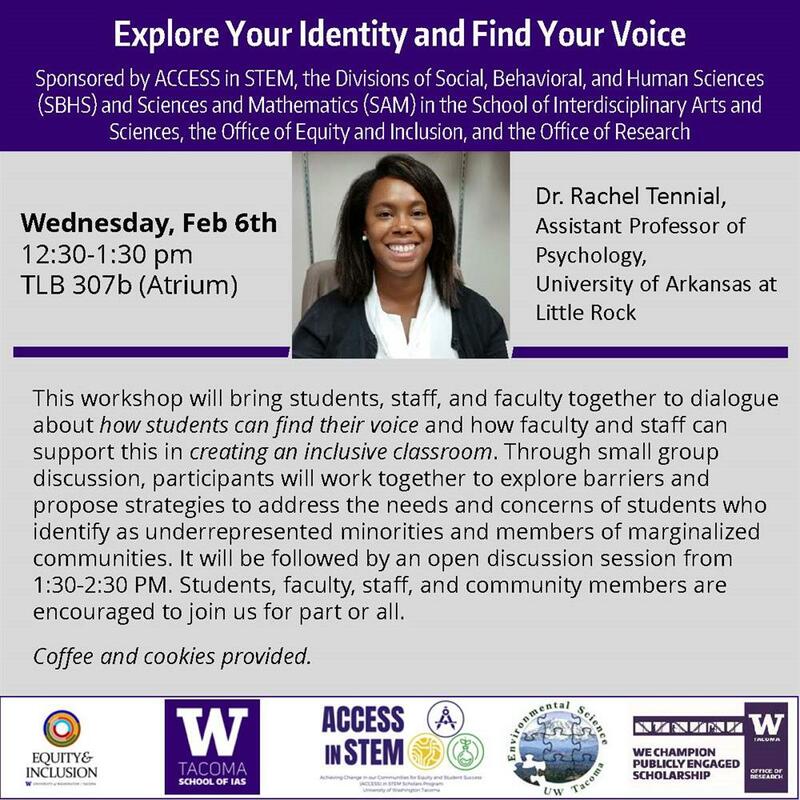 This workshop will bring students, staff, and faculty together to dialogue about how students can find their voice and how faculty and staff can support this in creating an inclusive classroom. Through small group discussion, participants will work together to explore barriers and propose strategies to address the needs and concerns of students who identify as underrepresented minorities and members of marginalized communities. It will be followed by an open discussion session from 1:30-2:30 PM. Students, faculty, staff, and community members are encouraged to join us for part or all.